Buddha Bingo | Grab 500% on your 1st 3 Deposits! 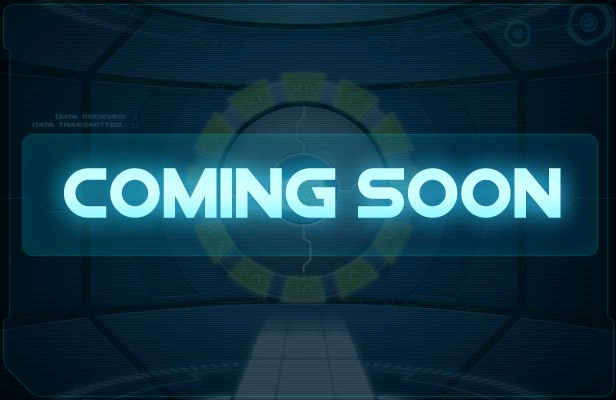 Buddha Bingo is one the top new bingo site to debut in the summer of 2014. The site features a beautiful user interface with nice bright colours and cool cartoon graphics. A big fat happy Buddha greets players as they enter the site and accompanies players through all gameplay bringing them good luck and fortune. To begin with, players can grab a heavy welcome bonus of 500% on their first three deposits with a first deposit bonus of a whopping 350%. In other words, deposit £10 on your first deposit and you'll get an unbelievable £45 to play with. Other fabulous promotions include the Bingo Champions League in honour of the World Cup, the Refer A Friend bonus that rewards you with vouchers for sending friends to the site, Summer Giveaways of sensational cash prizes, Free Game promos, Weekend Slot Tournament's and too many more to mention! 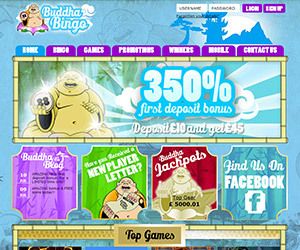 Buddha Bingo features top bingo games, online slots, casino games and scratch cards. The bingo games range from 90-ball bingo with £2,500 jackpots and £1,000 80-ball bingo jackpots to fast cash 75-ball bingo games. The site also features top online slot games like Five Pirates, Monkey Business, Queen of Legends, Mystic Wilds, Honey Bees, King Arthur and loads more. Scratch Card games include player favourites like Go Bananas, Lucky Fish, Happy Hour, Cold Cash, Diamond Dreams, Big Ben Scratch and plenty of other fabulous titles. You can bring the lucky Buddha Bingo play with you wherever you go thanks to it's incredible mobile gaming platform. When you join Buddah, you can claim a nice 350% welcome bonus on your 1st deposit and an additional 150% in bonuses on your second and third deposits. Buddha Mobile operates seamlessly on all Apple and Android devices. You can play a huge selection of slots favourites like Queen of Legends, Rubies and Sapphires, Treasures of Egypt and More. There's also a whole host of top casino games available on mobile like Blackjack, Roulette and of course Keno. With Buddha Bingo Mobile you won't miss a minute gaming action!